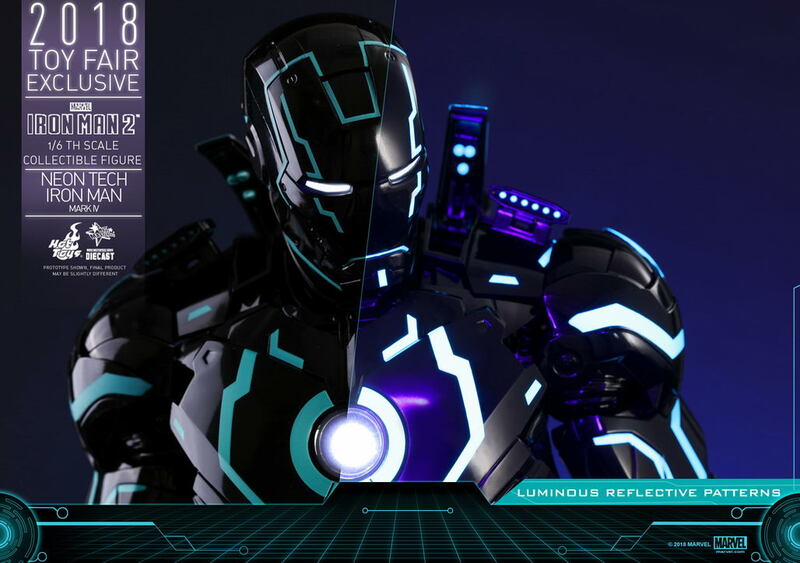 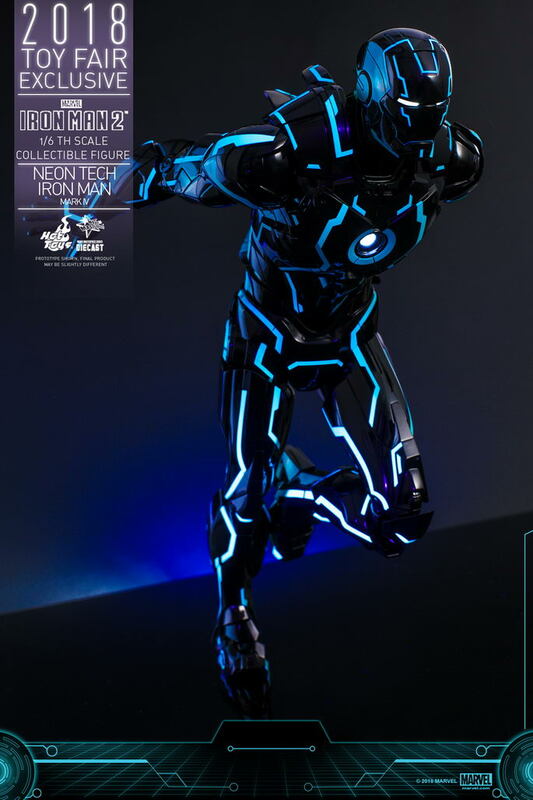 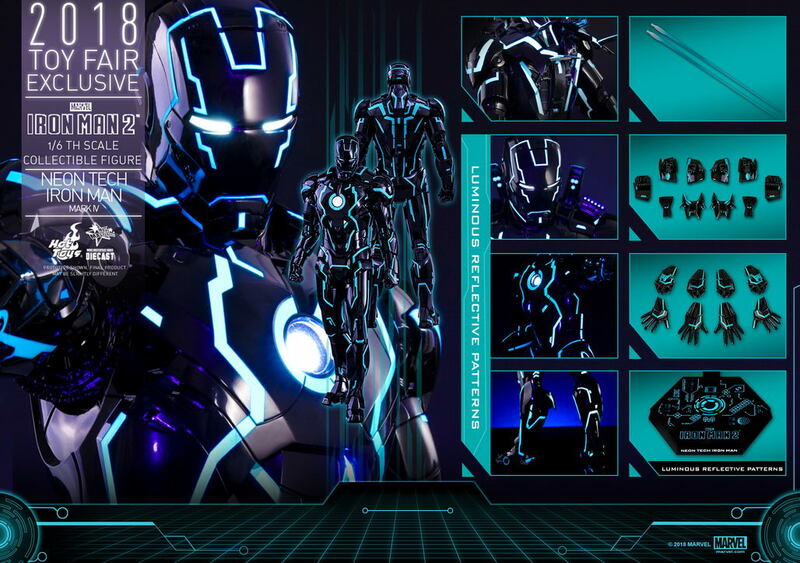 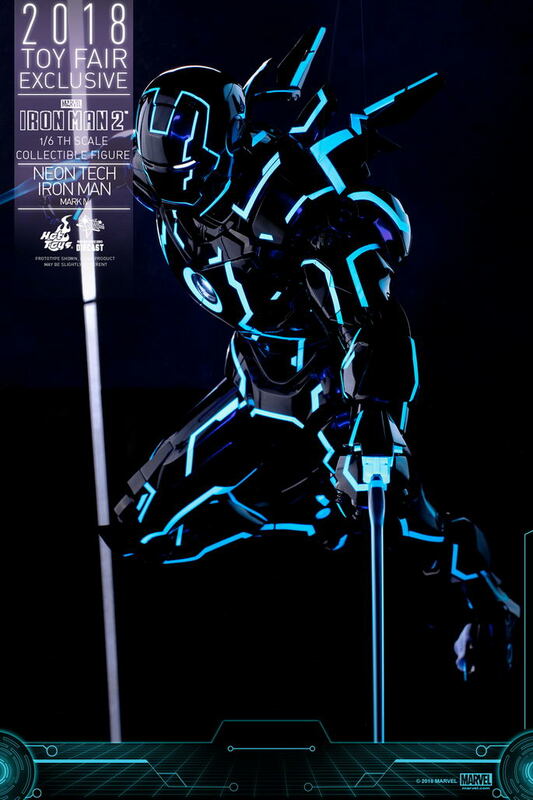 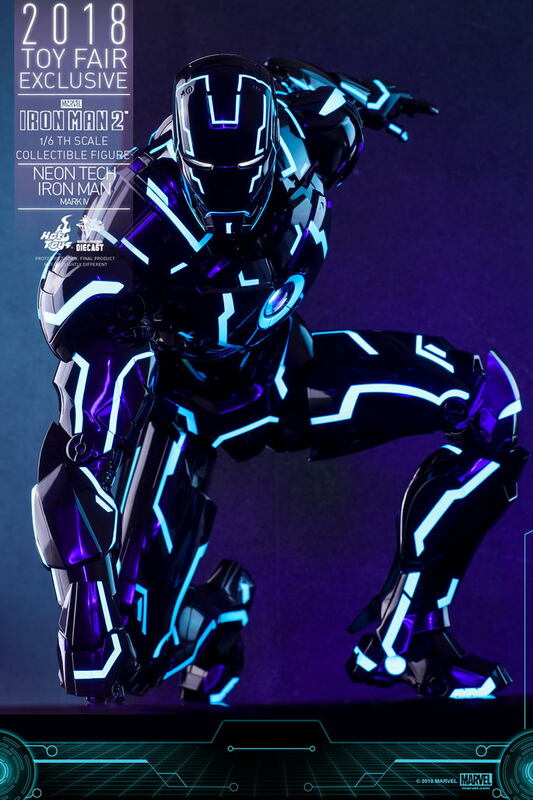 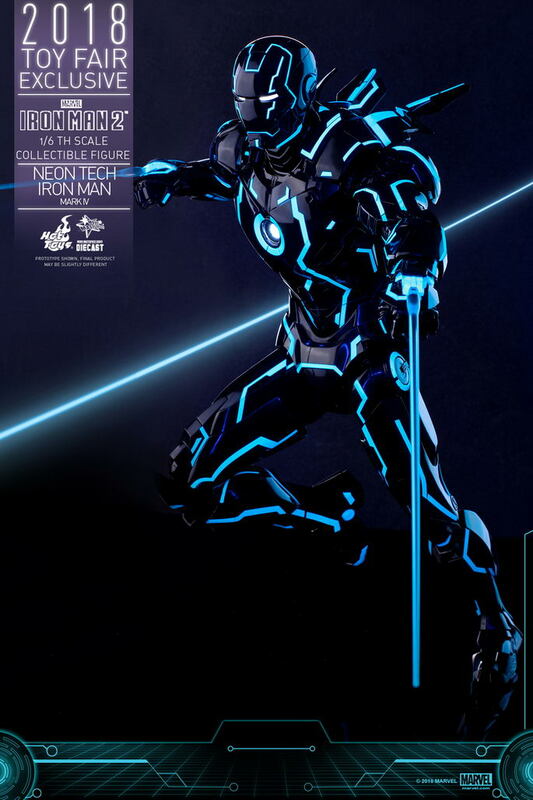 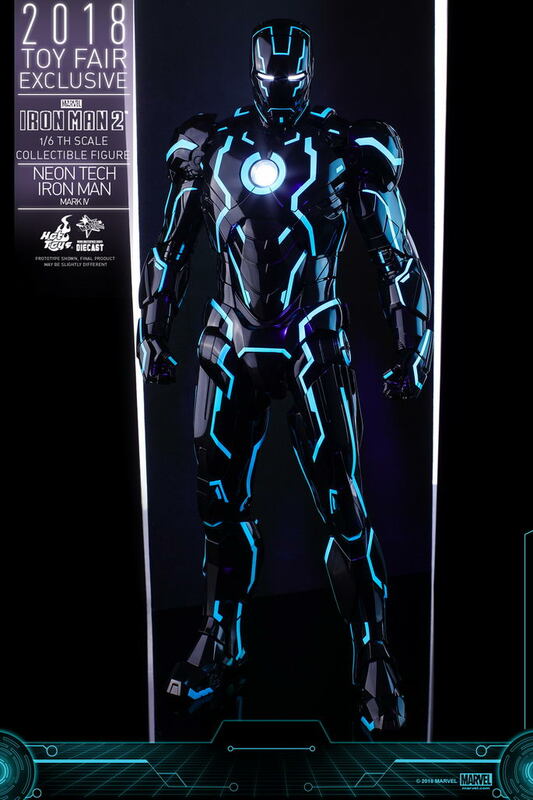 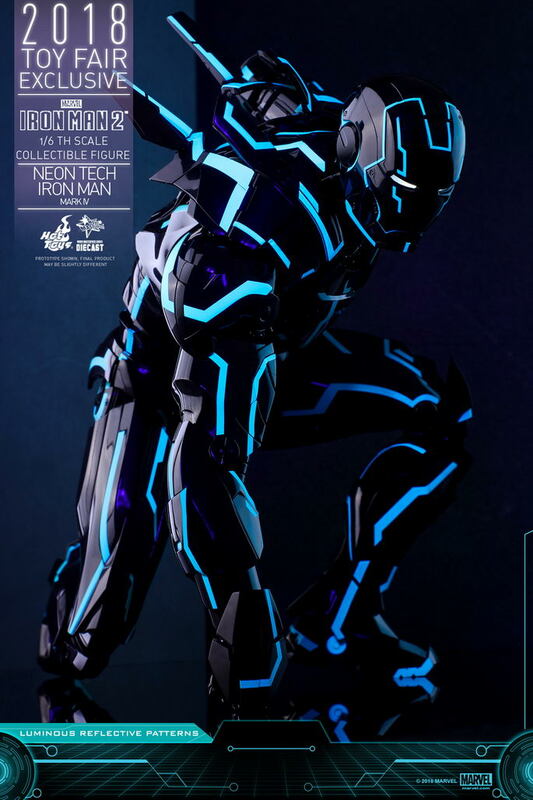 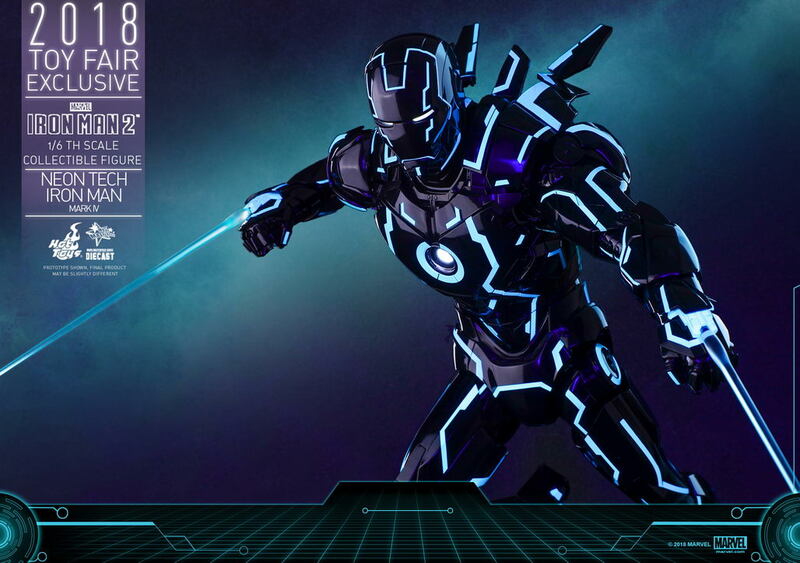 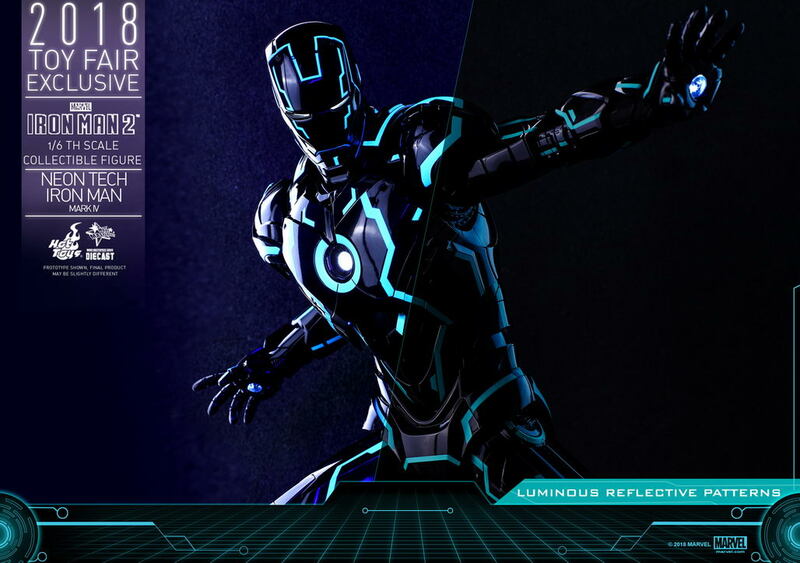 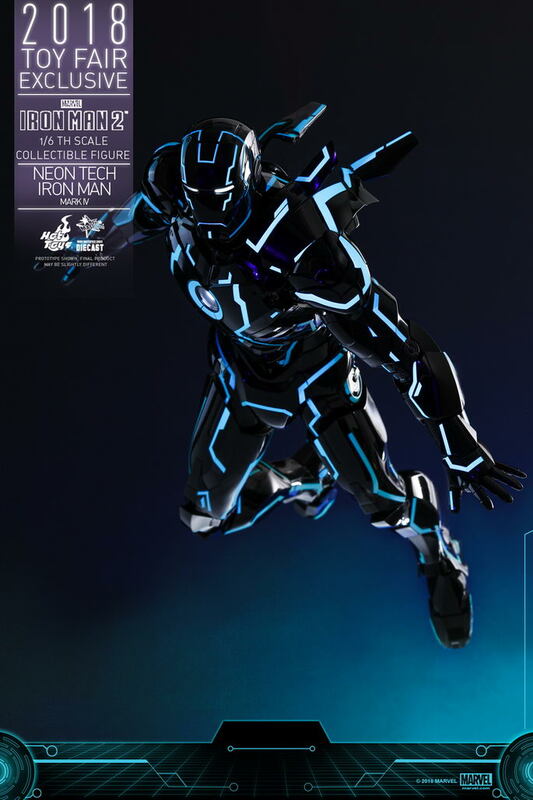 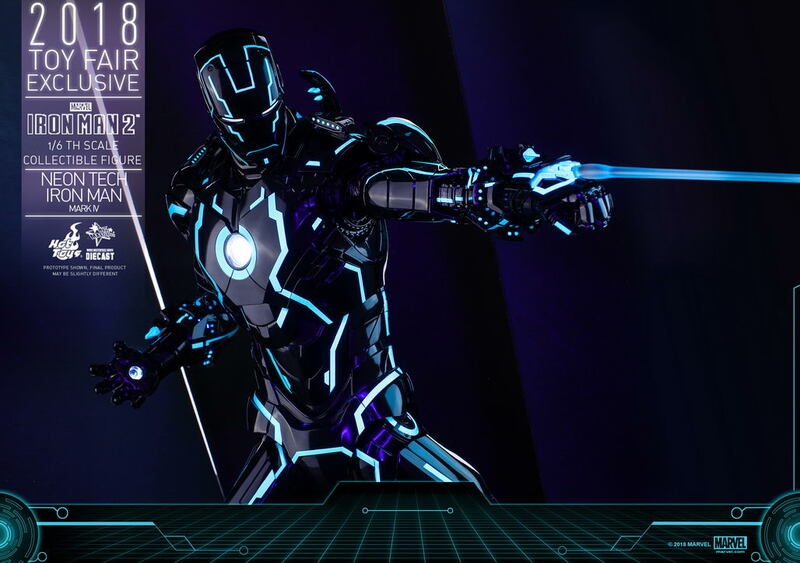 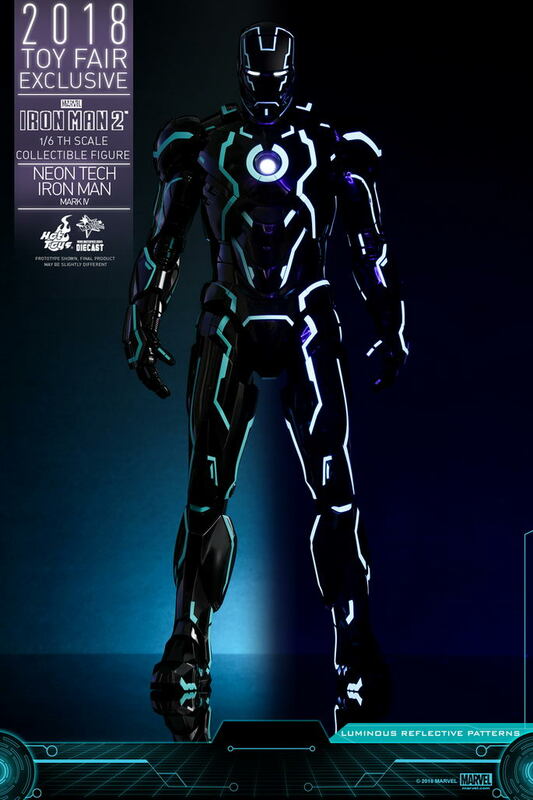 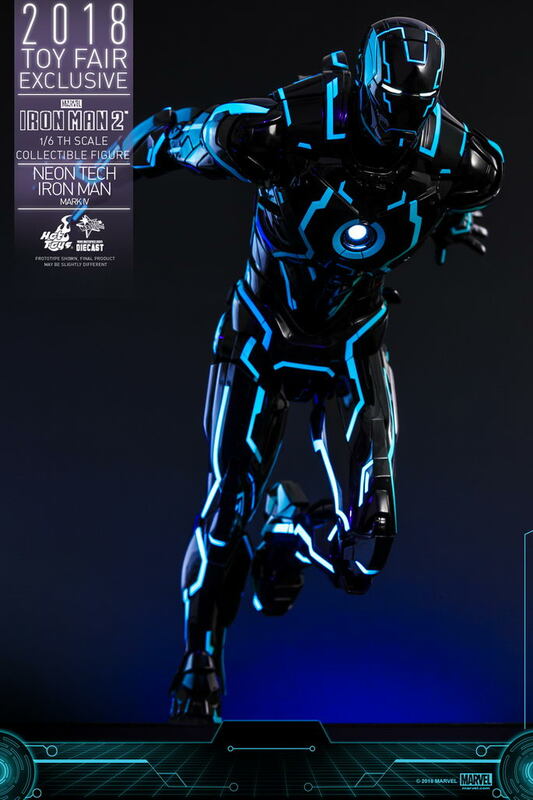 Crafted with phenomenal details that astonish fans with its high level of authenticity, the over 32cm tall diecast Neon Tech Iron Man Mark IV collectible figure has an array of features including movie-accurate proportion and highly detailed armor design with fully enhanced articulations, specially applied shiny black and teal colored armor with luminous reflective patterns appearing under specialized LED light, LED light-up functions on eyes, palms, lower chest, and forearms, two sets of interchangeable forearm armor, a pair of attachable lasers, a specially designed hexagonal figure stand with graphic card. 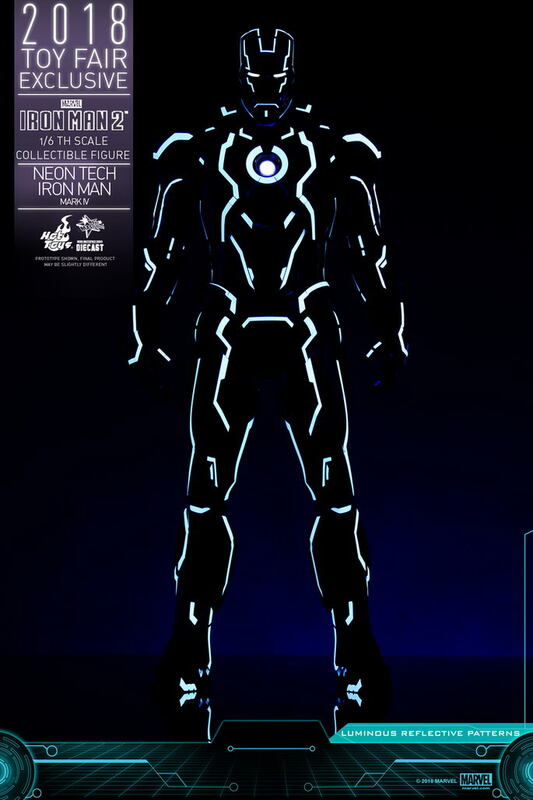 Expand your Marvel collections with the innovative pop art-inspired Iron Man suit! 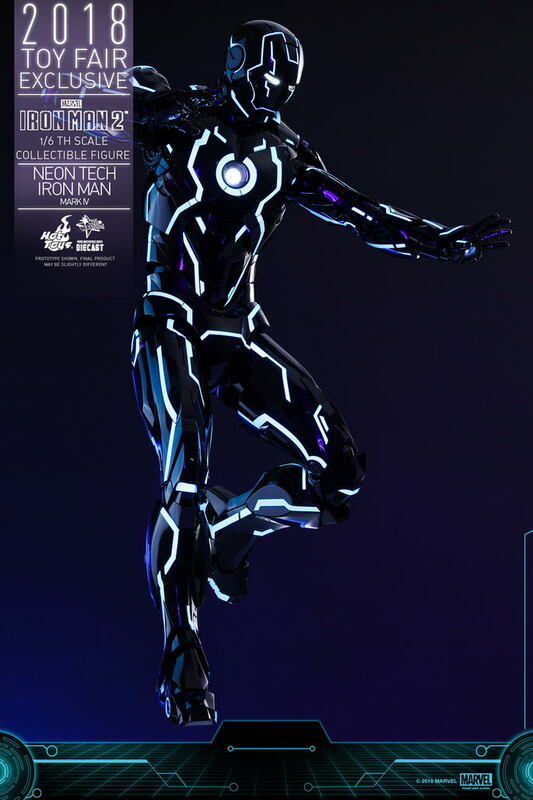 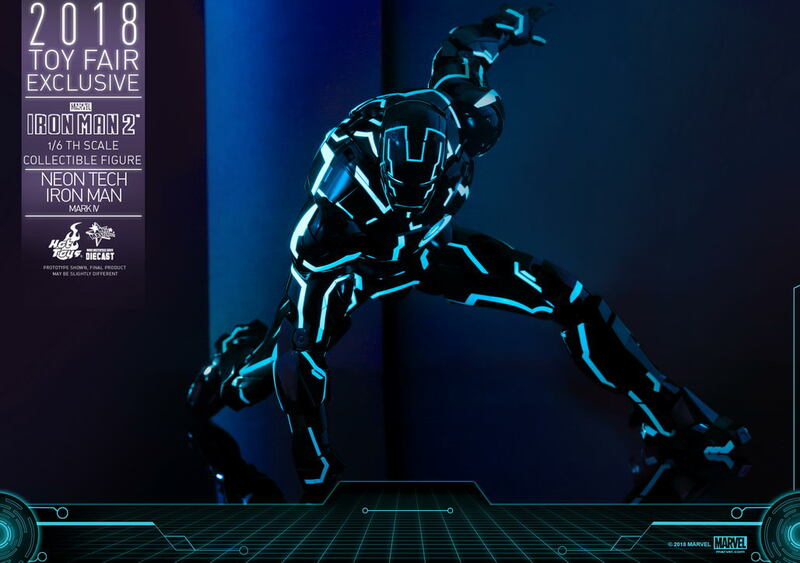 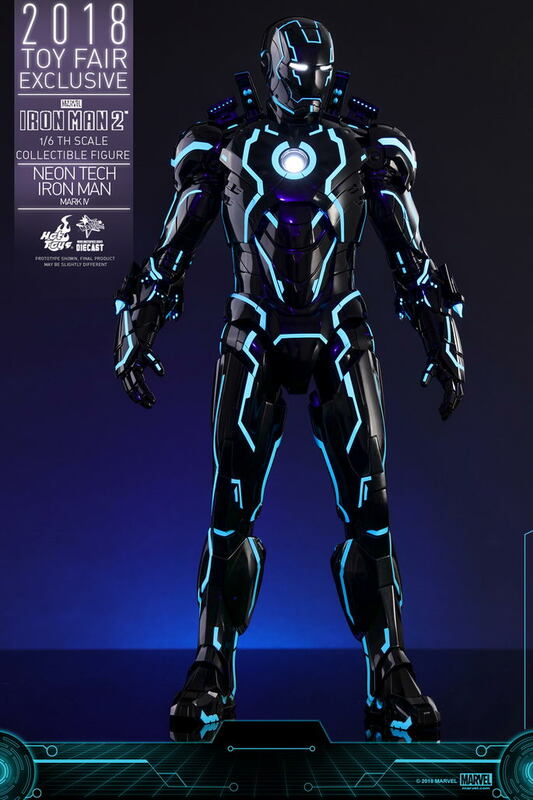 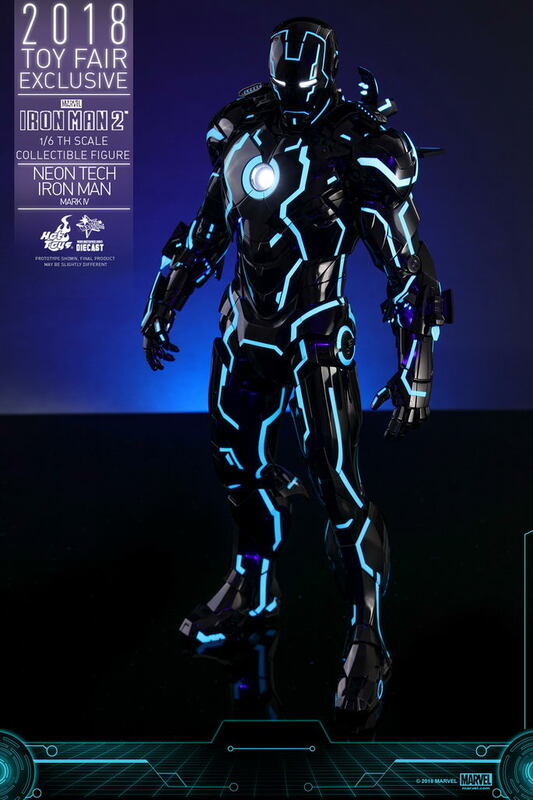 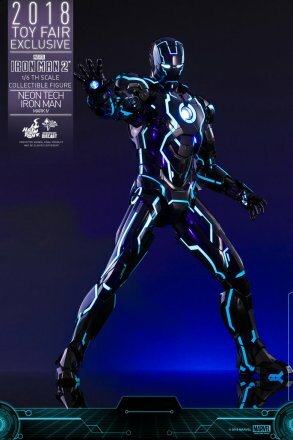 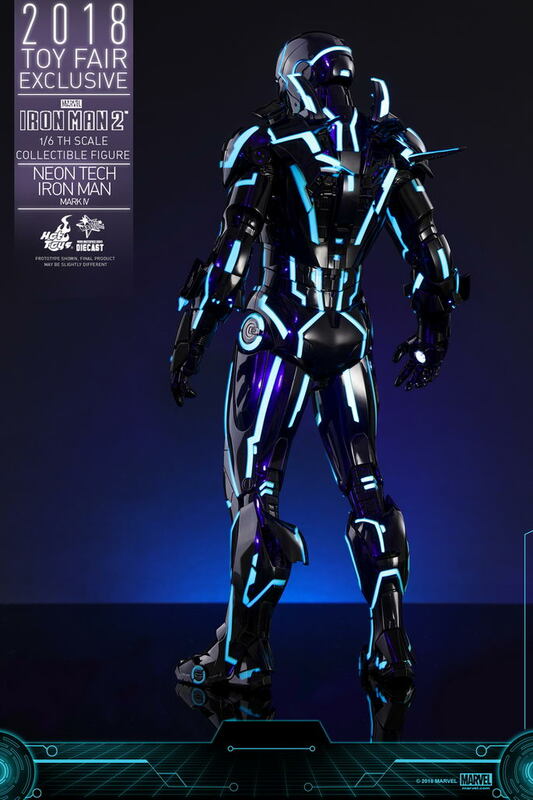 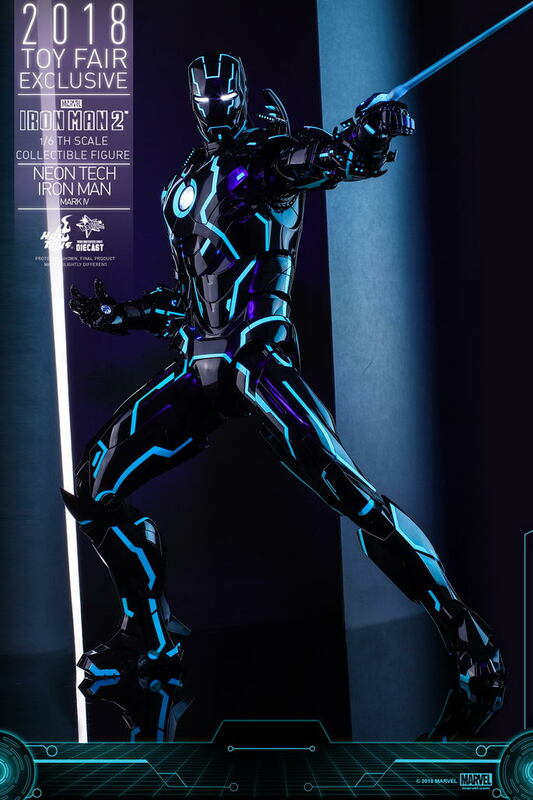 Iron Man 2 1/6th scale Neon Tech Iron Man Mark IV collectible figure will be firstly available on-shelf at Hot Toys’ Flagship store in Shanghai Disneytown Lakeshore and Hot Toys’ Booth B-13 at CCG EXPO 2018!